Note: This interview was conducted after 1987 ethnic carnage in Karachi. "The entire structure collapsed fifteen minutes after the first body was brought in. 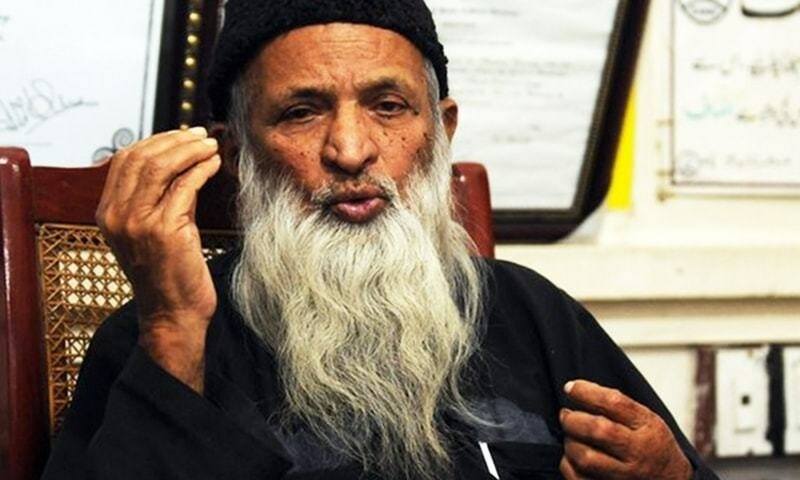 Edhi and his team were left to put it together again." - Attending doctor at the Civil Hospital emergency centre. 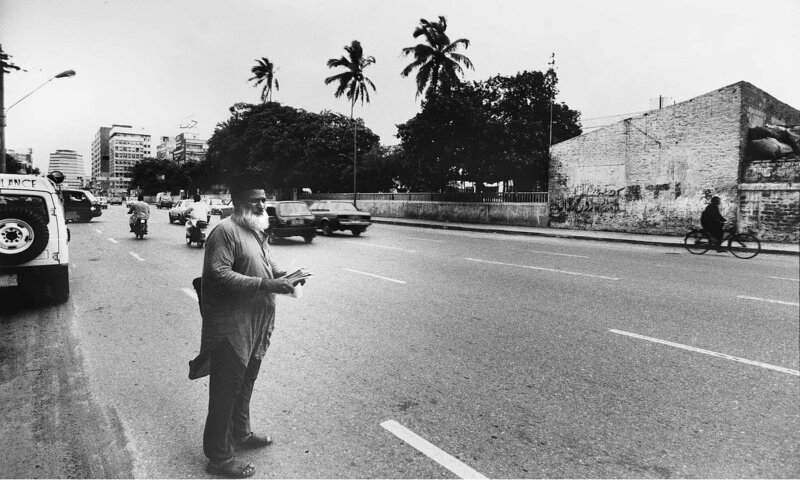 "Edhi got to the scene of carnage three hours after the army arrived." - Resident of Aligarh Colony. "People would actually hold their fire when they saw Edhi appear, such is the aura of this man." - A witness to the disaster. While the administration sat back and watched Karachi burn, Abdul Sattar Edhi was left with the awesome responsibility of picking up the pieces. 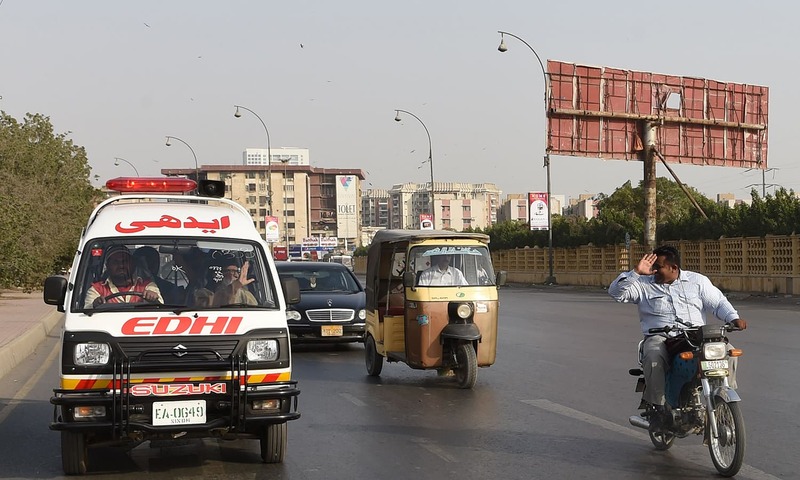 The Edhi ambulances were everywhere, his team of doctors on twenty-four hour call, his workers retrieving corpses and providing relief often at the risk of their own lives. Edhi has now become a household name - the lone voice of sanity in an increasingly insane order. Here, Sattar Edhi gives his views on the holocaust, its aftermath and practical measure to deal with the situation. Herald: What are your views on the Karachi carnage? What do you think really happened and why? Abdul Sattar Edhi: What happened was the work of drugs and death dealers. Every country has their share of these people. The places they attacked, and the manner in which they were attacked, clearly shows how organised these people are. Their modus operandi in all cases was identical. First, they came in groups of five to ten and shouted slogans inciting a particular ethnic group living in the area to join up with them. Once they managed to get these people with them, they started firing at random. When residents of the area emerged from their homes, they opened fire on them, stopping only when their victims fled. The mob them moved in, ransacked houses, looted them and finally set them on fire. They did not discriminate in their choice of victims or methods they employed to conduct this massacre. Herald: What do you think will happen next? Edhi: This will not end. But one can try to control it. I have made a few suggestions to the administration, but I don't run the country, so it's for them to decide whether they will implement them or not. I believe that honorary judges should be appointed in all these various mohallas. They should be assisted by a committee comprising people from the mohalla. representing every ethnic community in the area. Unemployed men from the community should be appointed as guards; their salaries should come from a mandatory fee of Rs 5 paid by every family residing in the area. The judge should have at his command a heavy arsenal and the authority to use the weapons if the need should arise. 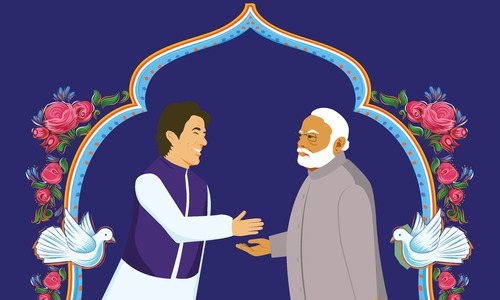 Furthermore, I have also told people to gather large amounts of stones and keep them on the roofs of their houses, so that if a situation of the kind that was just witnessed arises again, they can use these in self-defence. For every five of them that gets shot, they will get at least one from the other side. Every human being has the right to self-defence. Herald: What role has the government played? Do you give any credence to allegations of government collusion with the "subversives"? Edhi: There are conflicts within the government. The people responsible for the carnage have infiltrated every organisation, every section of society. They are everywhere, including the government. Their strength is immeasurable, and they have no soul. They will go to any lengths use any means to perpetuate their evil designs. As for the government, even when they arrive at the scene of a crime, they take at least two to three hours to take action. How can they be effective? To enforce the law you cannot afford to waste a minute. There were reports that most of the incrimination evidence had been removed from Sohrab Goth before the authorities arrived. Certainly, large quantities of arms and drugs were removed, but not two or three days earlier - just a few hours before the army went into action. I don't know if it was planned this way, but in those crucial few hours it took the forces to her "organised," the crooks made off with all the evidence. These people are always on the alert anyway, and they know all the routes of the area. The army wasn't given orders to start raiding or shooting till much later. So what could you expect? Even when they impose curfew, it takes them hours to get organised enough to enforce it. So obviously, there is no protection. This is the system we exist in. Nothing ever gets done until innocent blood has been shed. Herald: There have been allegation of sever harassment of Sohrab Goth residents by the authorities at the times of the action. Did you hear of any such incidents? Edhi: Well, this is only natural. When you are being forcefully shifted, you can't expect to be driven out in a Mercedes or carried out on a velvet litter. And there were several very wealthy people living there as well - people who owned four or five cars - so obviously, they are not going to be satisfied with the treatment handed out. But now that they have been shifted, I have heard several people - the more sensible ones at any rate - saying they are glad they have been separated into different groups. Herald: The government promised the Sohrab Goth evacuees compensation. Apparently, this has not been forthcoming, an you have been left holding the baby. Is this true? 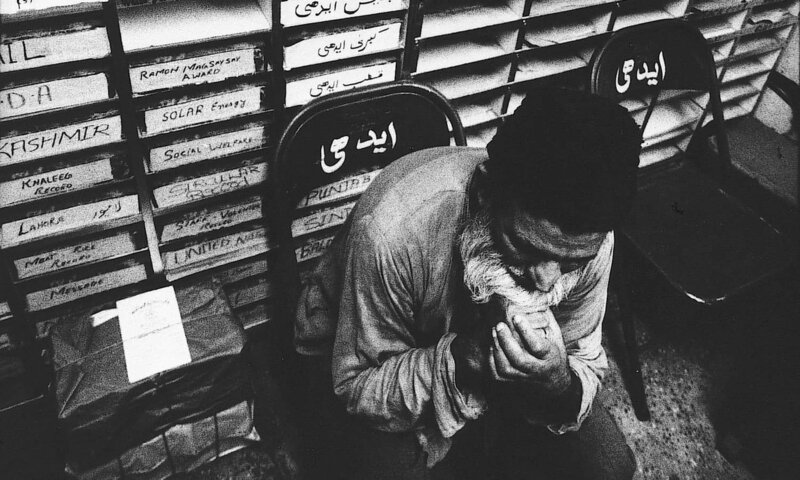 Edhi: There were different groups in Sohrab Goth: the Persian-speaking Afghan, Pakistani Pathans, some Punjabis and Urdu-speaking people, and lastly the Kutchis - vagrants who have neither any faith, nor principles, nor even any fixed place of residence. Now they have all been shifted to different camps. The KDA has allotted them each a 60-yd plot and here at least these people can be watched. The Afghans have their own commissioner to see to their needs. We are not responsible for them. They have also been given a lot of foreign aid. For the Pathans, Punjabis and the muhajirs, I have not seen any arrangement, either short-term or long-term, so far. The government has made a lot of promises, but I don't know if it will actually do anything. For the next few days we will supply them with the basics, as we have been doing. I have been given special funds for the purpose from different agencies. But these are only temporary, emergency measures. Herald: The government seems to have abdicated all responsibility for the welfare of the affected people to you. How do you feel about it? Edhi: In the west, governments take care of their own. In developing countries like ours, there is no such arrangement. But it is a two-way street. The awam dodges taxes, defrauds the government, and the government in turn lines its pockets to allow this to happen. You get the government you deserve, and meanwhile the poor and greedy get left out in the cold. So there is a crying need for social workers from private quarters. The day this mutually beneficial arrangement stops, there will be enough funds in the national coffers to start taking care of the people. That day, I will become redundant and relinquish my job to the state. But since this is not likely to happen, I have no choice in the matter. It's a responsibility you have taken upon myself, and I will carry on doing it under any circumstances. Herald: There has been overwhelming public response to the disaster. How do you feel about it? Edhi: I have always received this kind of a response. It's not news. But what's been inspiring this time is the spirit in which they have sent their money. I got a hefty cheque with a letter from somebody in Jeddah, saying that the money was to be used for all those affected, Pathans and muhajirs alike. The money has poured in and keeps coming. Herald: Have you utilised any of these funds to expand your operations? Edhi: No, because our expenses have multiplied. 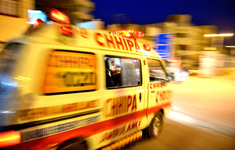 The ambulances have been in constant use, twenty-four hours a day. Several of them have been damaged, sometimes by the crowds as they converge on those carrying relief items. There's been a vast amount of fuel used. And then there's an endless demand for provisions. So we are just about managing to cater to the needs at the moment. Sometimes, my workers even tell me to stop aid in a certain area because people are now cashing in on the situation. I have lists of victims in each area. Several of these, however, have run away. But there are others who take their place, so you get people who take three times their share of rations. Nevertheless, I just tell my workers that I have been given funds for a particular purpose, and even if we sometimes make mistakes, the funds will be used for that purpose. But it is true that people exploit the situation. There are three kind of people who surface in these situations: the chronic beggars, those who hop on to the bandwagon on such occasions, and the actual victims. You have to discriminate between them and ensure that the really deserving get their share. Edhi was a great humanitarian!